Savor this uniquely flavored coconut milk-based curry to take your taste buds on a trip halfway ’round the world! I literally had to swat my hubby away from the pan because I wanted to take leftovers to work tomorrow! The hints of cinnamon and cloves infused with coriander and cumin truly make this curry like an exotic vacation for your mouth. Cut sweet potoates, zucchini and green onion while heating olive oil in a medium/large saucepan. 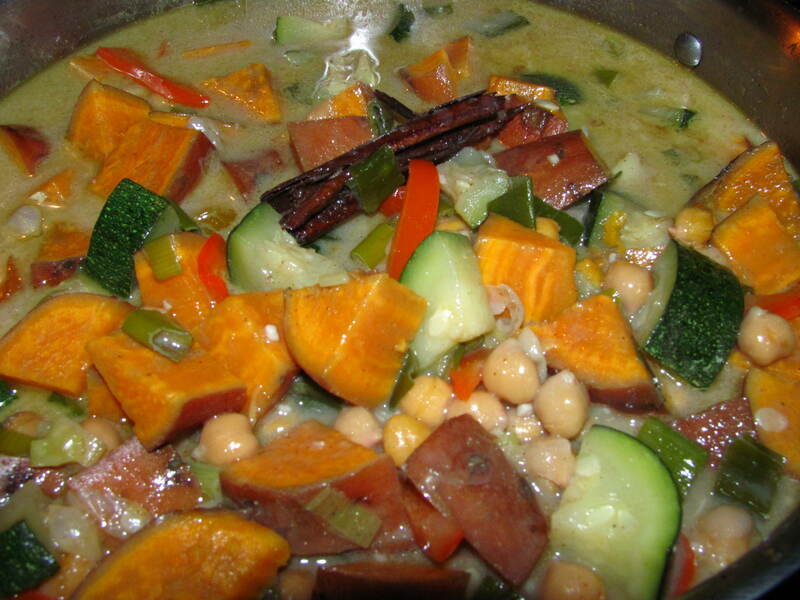 When cut, add sweet potatoes, zucchini, green onion and chickpeas. Heat veggies for 5 minutes to coat in oil. Add coconut milk, water and all spices and stir. Simmer on medium heat for 10 minutes, then reduce to medium/low heat and simmer until sweet potatoes are tender (about another 15 minutes). While curry is simmering, boil quinoa in a small saucepan: 2 cup quinoa + 3 cups water. Simmer until all water is absorbed. Fluff and set aside. 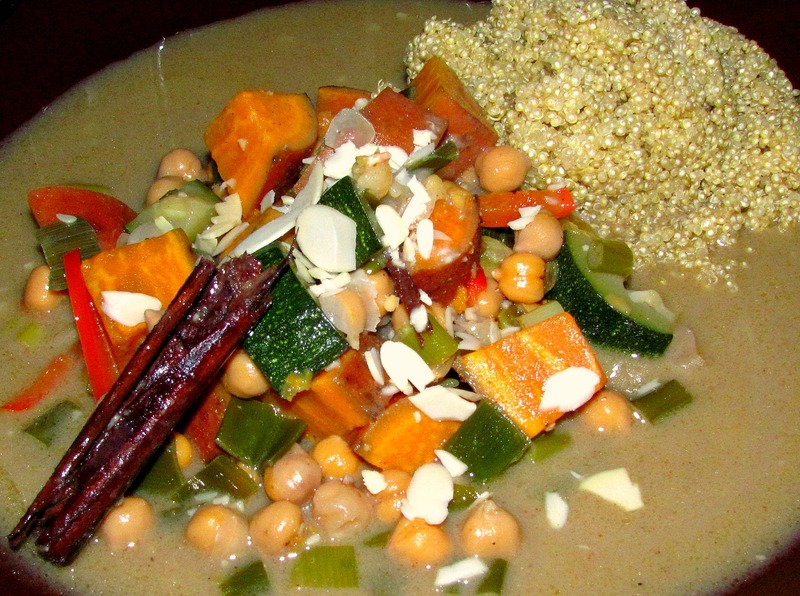 When curry is done, serve over quinoa and garnish with slivered almonds. Serves 4.